Our plumbers at Evenflow Plumbing have over 20 years of experience helping Moraga residential and commercial customers get their drains repaired and unclogged. 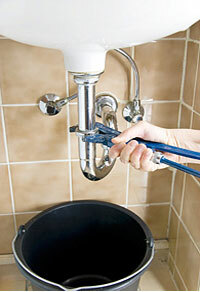 If you have a drain clog or a leaky drain pipe you may need an experienced plumber to help you. We provide immediate service and can have a plumbing truck to your home or business quickly. We provide 24/7 emergency drain service with no extra charge for travel time. Evenflow Plumbing has built a solid reputation in Moraga as well as all of Contra Costa county as one of the best drain cleaning plumbing companies. Clogged drain service may be accomplished quickly and easily depending on the cause of the drain clog and the condition of the drain pipes in the plumbing system. 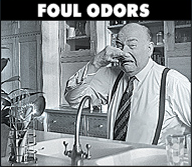 Some drain clogs are caused by hair or grease or a combination of both. 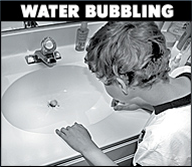 We handle all types of plumbing service, drain cleaning, and drain repair in Moraga and the surrounding areas. When the time comes to find a drain cleanout plumber be sure to hire a reputable contractor to protect yourself. We are accredited by the Better Business Bureau and have many positive online reviews from reputable review providers such as Yelp and Google. We have the equipment and experience required to get the job done right the first time. 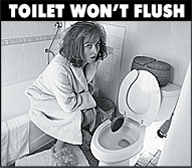 If you have a clogged drain in Moraga please call Evenflow Plumbing now for immediate service. We have a friendly, attentive staff dedicated to serving you. We don’t charge extra for travel time and we will beat any written estimate by 5% or more.